Item number 1730/7 from the MOA: University of British Columbia. 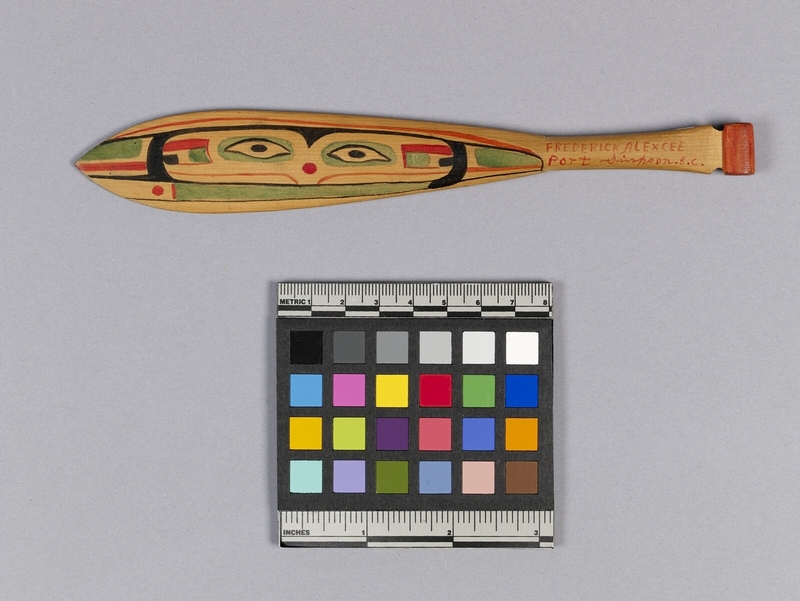 Small wooden paddle with painted imagery. Paddle surface is smooth. 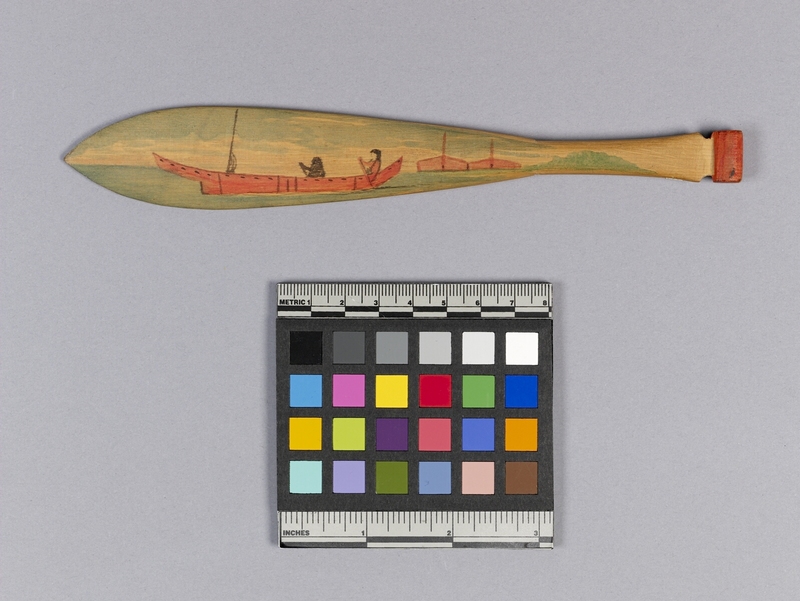 One side of paddle is painted with a scene depicting two figures paddling a red boat in green waters. Behind them, in the distance, are two red buildings. The second side is painted with a traditionally styled First Nations design of an animal's face ? Handle grip is painted red. Inscription written on paddle arm.